Fans of Gloom and Munchkin will enjoy Munchkin Gloom, a new version of the card game Gloom. 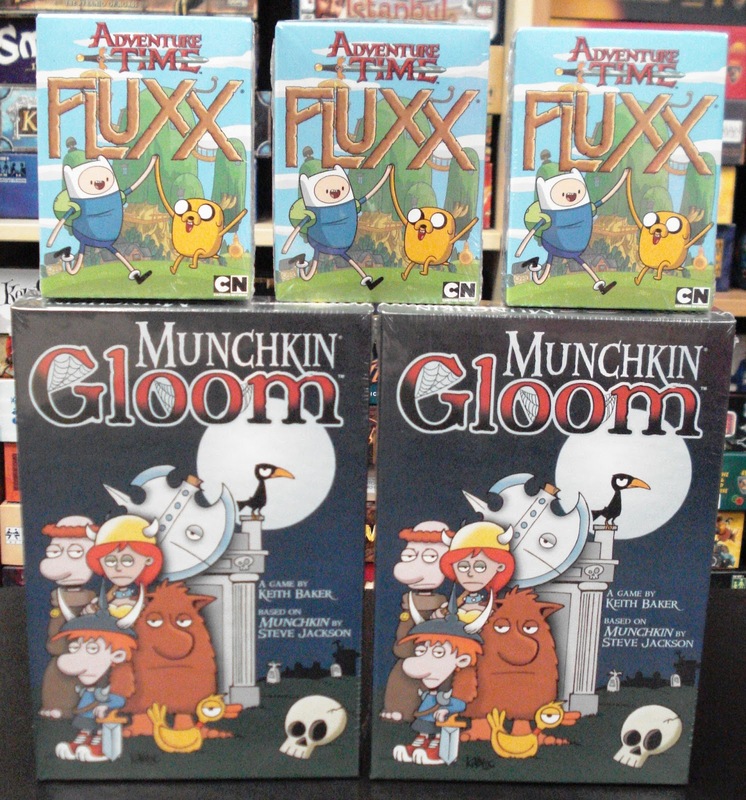 The world of Munchkin can also be a miserable place - the backstabbing, discovery by ducks of doom, and being dined on by dragons. Heroes delve too deep, plummet down pits, and lose their loot. And that's before they die. In Munchkin Gloom, players steer their Munchkins through terrible travails and troublesome tribulations until — inevitably — they perish in pain. 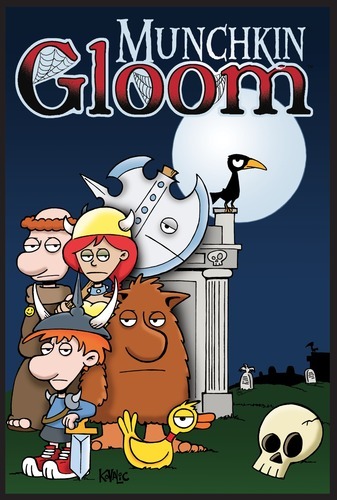 Gloom is a light-hearted card game where you don’t want a happy ending if you want to win the game. It’s all about making your eccentric family of misfits more miserable than your opponents. You’ll play cards of mishaps on your family members to lower their Self-Worth scores while bestowing happy occasions and positive points on everyone else. The more miserable your family members are when they die, the better chance you have of winning. Also new in from Looney Labs is Adventure Time Fluxx, the latest in their line of themed Fluxx card games. 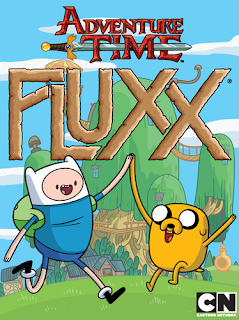 Join Finn, Jake, and all their friends for some ever-changing fun. 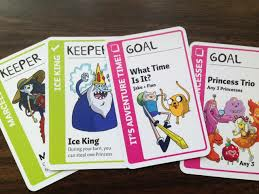 Draw a char, play a card, and change the rules to battle candy zombies, and maybe even floop the pig.